I want to be productive in some way, to contribute. I don’t ever want to be accused of just taking and never giving. I don’t believe in distribution of wealth, or socialism. I believe everyone has something to give, something to do, some part they can play in making the world a better place. As Christians we are to be productive. God told Adam and Eve, as well as Noah after the flood, to be fruitful and multiply. We are supposed to be about His business of furthering His Kingdom. How do we do that? By producing fruit. God has many plans and purposes for His children, but our main purpose it to multiply and bear fruit. We multiply by making disciples, by growing the family of God. The goodness of God, manifested in His love, is what turns hearts to repentance. So we have to sow love, plant the seeds of love so that we can produce love where ever we go. Produce love! 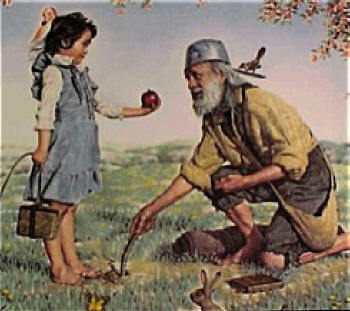 Be the Johnny Appleseed of Heaven and sow it everywhere! Do you ever feel like you just can’t get with the program? You make plans, set goal, only to have them thwarted again and again. You end up feeling like a failure with a big “L” stamped on your forehead (for loser). Well, you’re not alone! And there is probably a good reason why. You see our plans are not the same as God’s plans. His are better. Way better. If we could just get a glimpse of a portion of them, they are as many as the sand on the earth, we would be blown away. So He reveals bits and pieces to us and then expects us to obey and walk in faith. Our plans may seem good, but if it doesn’t line up with God’s plans, it leads to death (Proverbs 14:12). Have you ever heard the saying, “the road to hell is paved with good intentions?” Or what about this saying originally from Scotland, made famous by the poet Robert Burns, “and the best laid plans of mice and man often go awry.” Both of these sayings are very biblical. It’s pretty simple really. God gets to do whatever He wants. I for one am glad. I would mess it up, and so would you. We don’t see the end from the beginning. God sees the whole timeline. He dwells outside of time. He sees everything, the whole of existence at once. So, I think we can agree, He probably knows what’s best for us. In my opinion, if we could see our lives as a movie, after we pass away, it would be filled with missed opportunities, missed blessings, wrong roads, and wrong choices. (Hopefully, we won’t have to watch that, after all He promises no more sadness and no more tears). How do we know if a man’s plans line up with God’s? If I can quote another old saying, “the proof is in the pudding.” Puddings were baked, and full of eggs, if the oven was jiggled, or the pan not handled carefully, the pudding would collapse into a pile of mush. The Apostle Paul says it this way, when faced with some complaints about the actions of some people who’s motives were in question, “Therefore, in the present case I advise you: Leave these men alone! Let them go! For if their purpose or activity is of human origin, it will fail. But if it is from God, you will not be able to stop these men; you will only find yourselves fighting against God.” Acts 5:38-39 (NIV). That, my friends, should be reassuring. It should also prompt and motivate you to know His plans for you. The Bible and sound teaching will tell us God’s general will for our lives. The Holy Spirit will give us specific instruction. Make sure you make sure that it is the Holy Spirit. God tells us to try the spirits. If what you are hearing doesn’t line up with God’s word it isn’t His Spirit. For example: if you think you hear the Spirit of God telling you not to give to your local church, we know that isn’t God’s plan, for He tells us in several places to bring in our tithes and offerings. It is a command of God. If you aren’t sure, seek godly counsel. 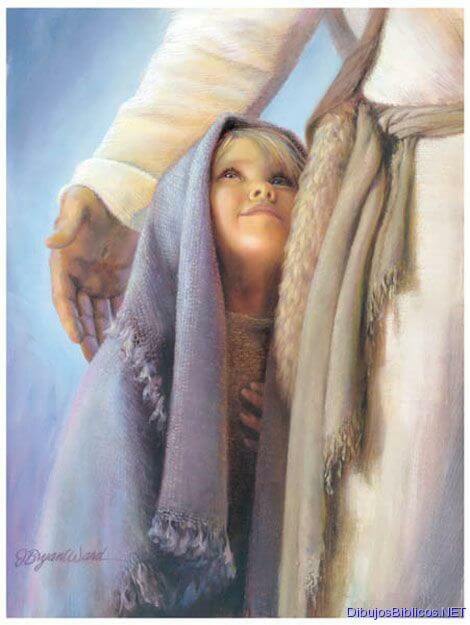 Not someone younger, or more immature in the things of the Lord, seek counsel from those who live a committed life, who are in relationship with the Father. With two or three witnesses things are established. The Holy Spirit is one. Your stoppable, changeable, messed up, misinformed plans? You have called me in Your unfailing love. Keep me under the shadow of Your wings. Watch over me as I sleep. Let Your word illuminate my path, by day, do that I can clearly see every obstacle in the revealing light of Your truth. Open doors that no man can open and close doors that no man can shut. Anoint me to do Your will. Empower me to walk according to the plans and purposes You have for my life. Go before me as my shield. Follow behind as my rearguard. Wherever my feet tread today, give it to me as a portion of my inheritance. My desire is to bring Glory to You, Lord, in all I do this day. I am about halfway through a good book. I love to read, fiction mostly, but I make sure I read at least one non-fiction a month. When I started to do the internet thing to promote myself as a writer, I stumbled upon a writer, Jeff Goins. He was full of good writing advice and encouragement. I downloaded several of his free “Manifesto’s” and liked his style. So when he offered his latest non-fiction book as a pre-order I jumped at the chance. I just now got around to reading it. The title is “The In-Between-Embracing the Tension Between Now and the Next Big Thing.” The book is great and it isn’t just about writing. Everyone should read it, especially those just out of college. It has me thinking. My husband and I are (hopefully) coming up on an early retirement. We’ve worked hard for years. His first job at 13 and mine at 15. We have dairy-farmed together, made shake blokes, and logged, separately we have managed book stores, worked in factories, deli’s, taught school, worked in daycares, a hospital and remodeled 13 homes, just to name a few. My husband works harder than most men I know. He has worked most of that time with the results of a broken back at age 17, which resulted in crushed and missing vertebrae, as well as several fused. In the last 6 years he has had to surgeries due to a work related injury, one on his neck and one on his shoulder. He still works, hard, sometimes 60 hours a week in a factory. So we are looking forward to retirement. He’s a few years from 60 and I’ll be 50 next year, in today’s workforce that would be an early retirement. Two years ago we took a trip to Georgia in February (our coldest month). We came back with a plan to sell our home and move south. We listed the house and started surfing the net for houses and business in the area, talked about it and got excited. Then a friend of mine who said she hated for us to move said, “Couldn’t you buy a house there for the winter and still stay here the rest of the year?” My reply, “Short of a miracle, we could never afford two houses.” But she got me thinking… (Thanks Sara). My husband for years joked around about selling everything and living in a camper, traveling like a gypsy. I always grouched and crabbed and reminded him how much I moved around as a kid, not to mention the 14 housed we have lived in since our marriage (which included several states). But after my conversation with my friend, and with some modifications, it wasn’t sounding so bad. Now we are still showing our house, believing God is working in this less than perfect housing market. We still surf the net, but now we are looking at diesel motor homes with a slide out, a bedroom and a bathroom. We have family in Kentucky, and Tennessee, a daughter in Arkansas, a son 200 miles away (in Wisconsin), a daughter a few blocks away who can’t wait to get to someplace warmer, and our parents and siblings are in Washington state. We just got back from a 16 day trip to Washington to visit our parents and siblings. We hope to travel so that we can spend time with them all, and to see the parts of the U.S. that we haven’t so far in our travels. So what does all of this have to do with Jeff’s book? We have been looking forward impatiently to retirement so much, that we have neglected the good things in our waiting time. My husband’s job is getting harder on his body, the sub zero temps and the long winters aren’t fun anymore. We miss our far away families in a way that we didn’t when we had kids at home. So “The In-Between” has reminded me of the importance of enjoying where you are now. Not that I’d completely forgotten, I just have been spending more time daydreaming about my future than looking for the blessings in my now. Jeff says in his book, “Maybe, I thought, God is less concerned with exactly what I am doing and more concerned with who I am becoming.” I have only recently started writing and have had some discouragements in the amount of sales. We are coming up on another winter and want to be out of here. But God has a plan. He wants us to continue to grow and stretch, and that happens just as much, if not more, in the waiting times, than in the active times. When God’s chosen people were taken captive by Babylon, God told them it would be 70 years before He would begin to bring them back to Jerusalem. Now that is waiting. He also told them to build houses, take wives, and plant vineyards. He knew that they needed to be productive and provided for during their waiting time (Jeremiah). So are you waiting for something, a spouse, a great job, a vocation, calling or ministry? Are you impatient and spend more time in the future than in the now? Take Jeff’s advice and embrace the waiting. You’ll be blessed and way less stressed. By the way, if you want to check out Jeff’s blog, here is the link. Chop, Chop by L.N. Cronk is one of the best Christian Fiction stories I have read. It is a very funny book about several friends from pre-school through college. It isn’t preachy at all, doesn’t quote scriptures, but just chronicles the lives of this group of kids as they live real life stuff. The ending touched my heart and spoke volumes about forgiveness and God’s plan for our lives. Great for all ages. A refreshing change from some of the books I have been reading. Apparently there are more in the series and I plan on looking them up. I give this book 5 stars.